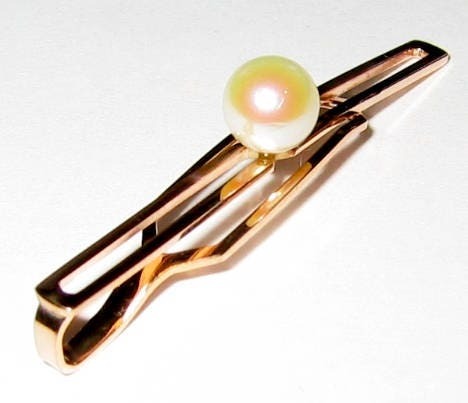 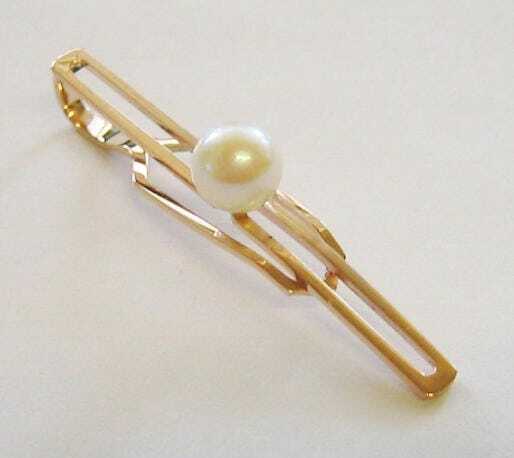 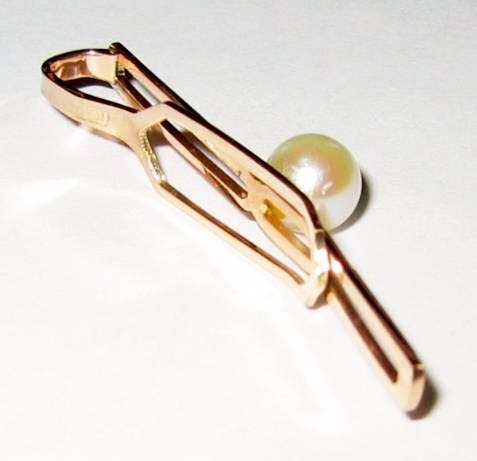 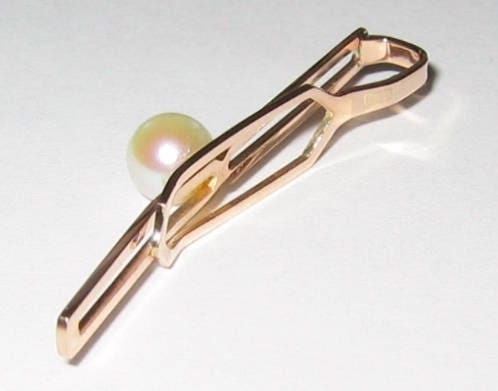 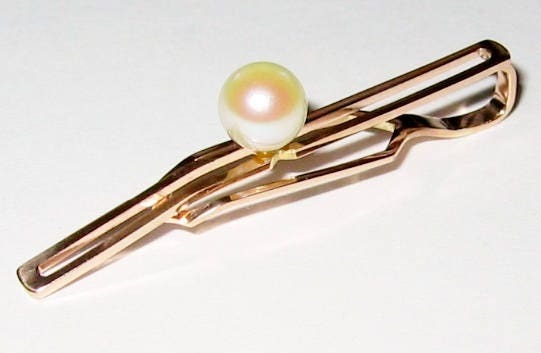 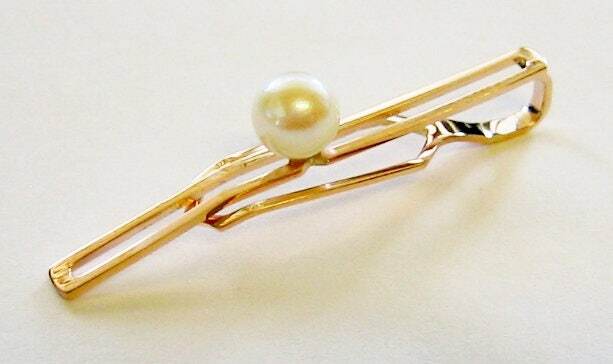 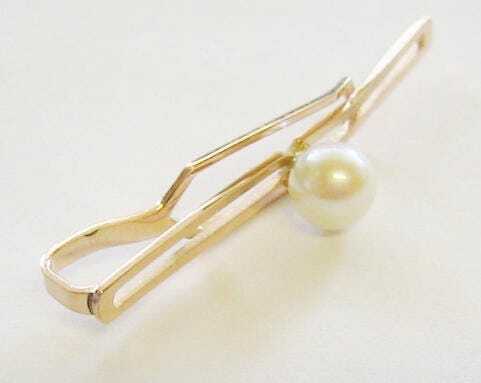 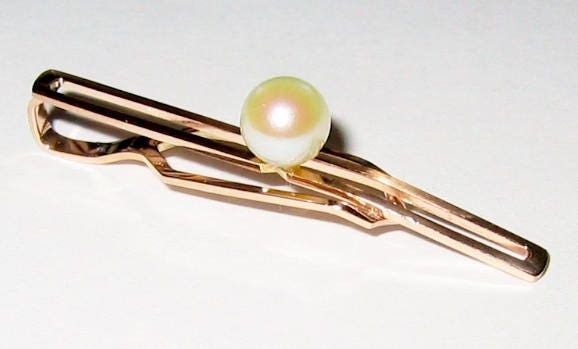 Here Is a high quality and finely crafted, solid 10K yellow gold & genuine pearl, Gentleman's tie clip/tie bar. 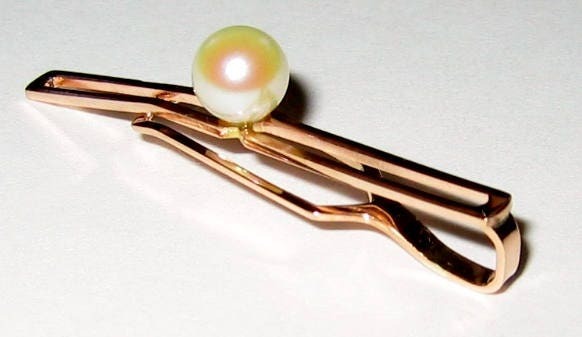 Item is xlnt used condition and has no defects. 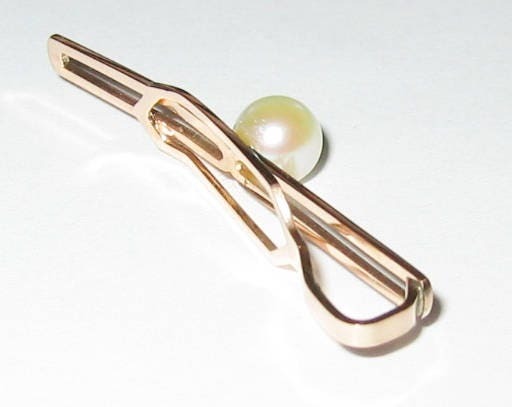 Clip weighs 1.5 grams and measures 1 1/2 inches long.